With the convenience of the every growing mega super markets, more of us tend to move away from those very hard to find butcher shops. As a product of a family that raised pigs and chickens, this is a somewhat difficult concept for me to accept. Mainly because growing up my uncle could tell you what that pig (or chicken) ate from the time it took its 1st breathe to the day before it hit your table. From the daily routines of his "golden egg laying" chickens to the temperament of his best hog. Visiting your local butcher or even becoming a member of a CSA that handles meats and poultry can be expensive. But as the saying goes, “you are what you eat” and I don’t want to be made up of a chicken that was “produced” by a new robot that can make 100 pound chickens, so these supermarkets can sell them to the masses. There is a charismatic charcutier that is always at the local farmers markets in Atlanta . His company is called the Spotted Trotterand they have the best Tasso ham and Andouille sausage you can find (in my opinion of course) and don’t even get me started on the Sorghum Cured Pork Belly. Since I am somewhat of a ‘friendly” person, by that I mean can talk to a complete stranger for hours like I’ve known them my whole life; when first meeting him I was drawn in by his friendly greeting and instant detailed explanations on the best way to cook every single fresh item that was available for purchase that day. We started talking about grilling and burgers and by the end of the conversation I had a bag full of meat and great idea for that nights dinner.. 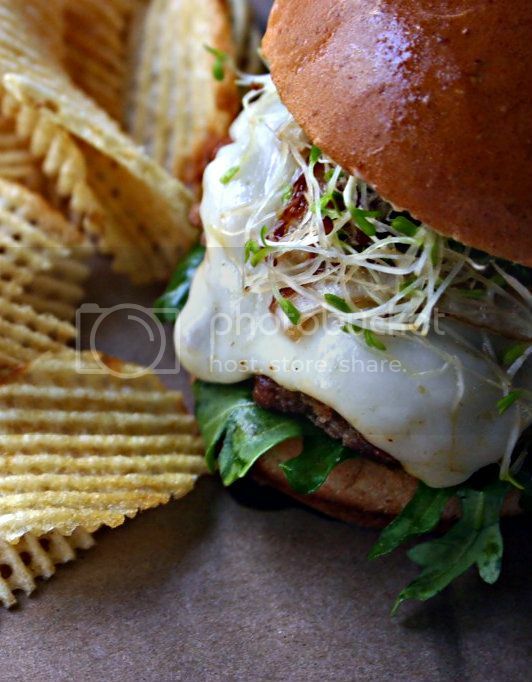 The onions and Creole mayo bring all the flavors together beautifully in these little burgers.. Add your favorite toppings to make them your own. 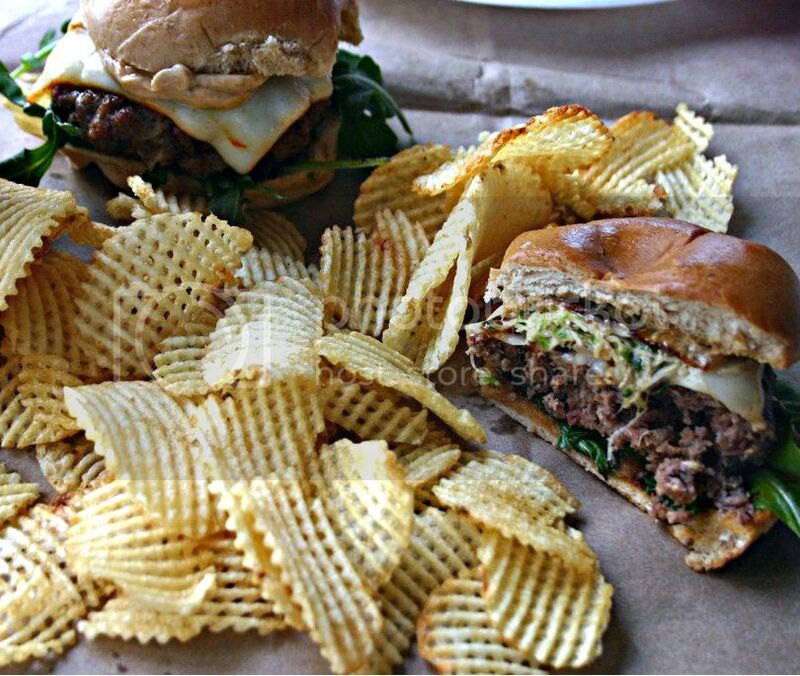 Like blue cheese or sprouts and arugula. Add sausage, shallot and egg to a food processor and pulse until ground. 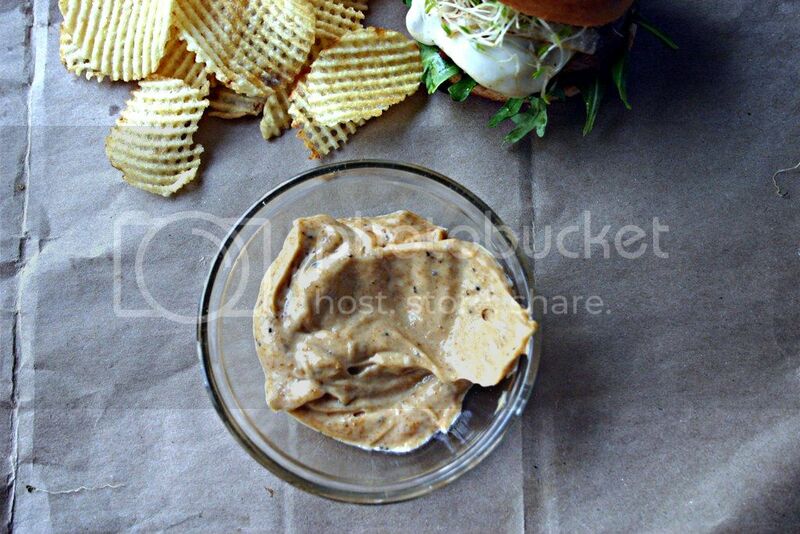 Meanwhile, make the Creole Mayo by mixing mayo, creole seasoning, Worcestershire and hot sauce in a small bowl: stir with a whisk until combined. In a large skillet pan..heat oil over medium heat until hot.... add onions cooking for about 15 minutes stirring often, sprinkle with sugar and reduce heat. Continue cooking (stirring often) until onions are golden brown. 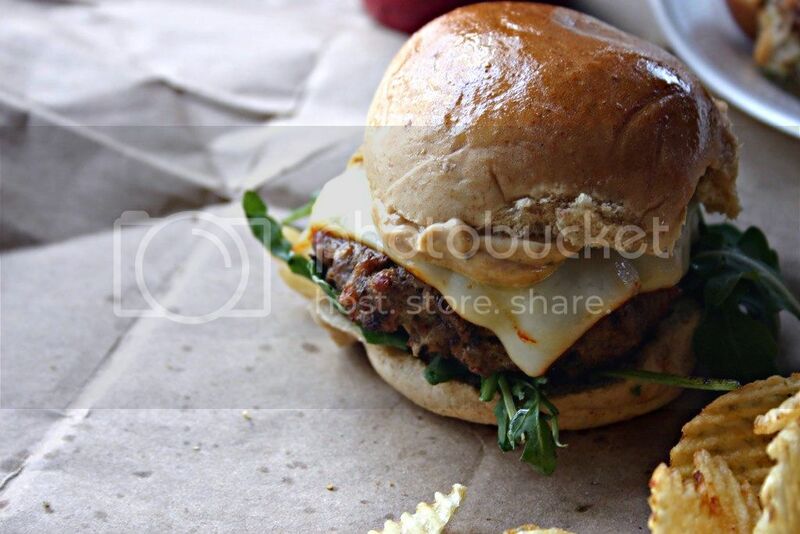 Warm your buns or keep them cold add burger patties, a little cheese (I used muenster..because it's awesome), arugula, and top with the caramelized onions..